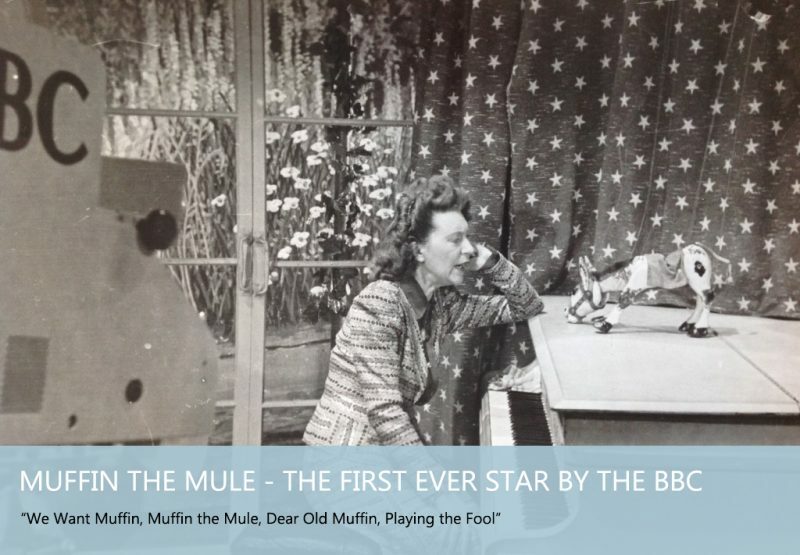 Muffin The Mule | Muffin The Mule created in 1946 was the BBC TV's first star! 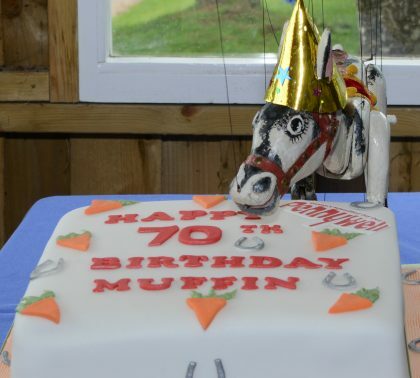 ?Happy 72th Birthday Muffin the Mule? 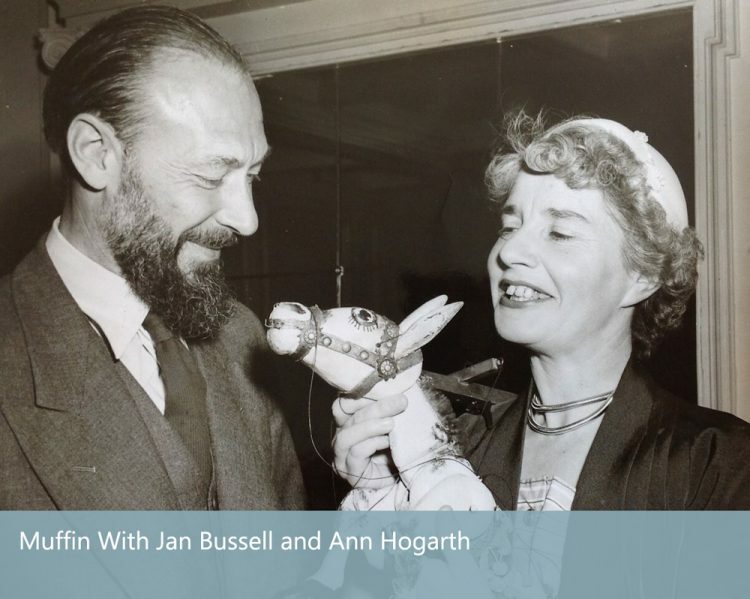 Yes 72 years ago on Sunday 20th October 1946 Muffin the Mule first appeared on BBC TV with Annette Mills at the piano and Ann Hogarth pulling the strings. 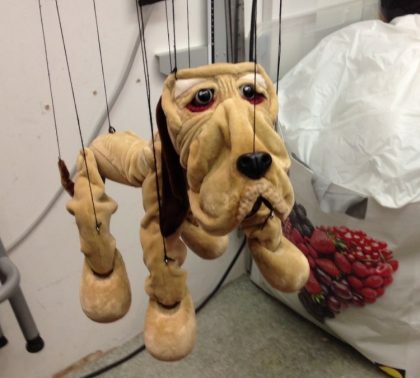 Who would have thought after that very first programme that Muffin would become such a star? 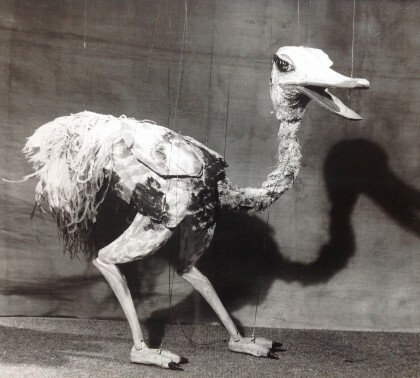 He was the first children’s TV character and the first show to have a merchandise range. His popularity was quite astonishing considering TV’s were not common at all back then and no one had even dreamt about the World Wide Web! 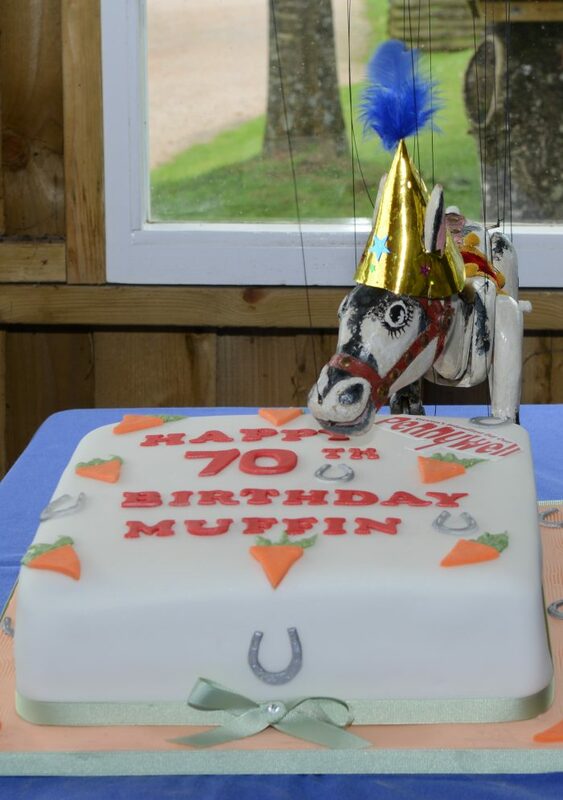 Muffin first trotted on to the stage in 1946 to the ‘We Want Muffin’ theme tune. 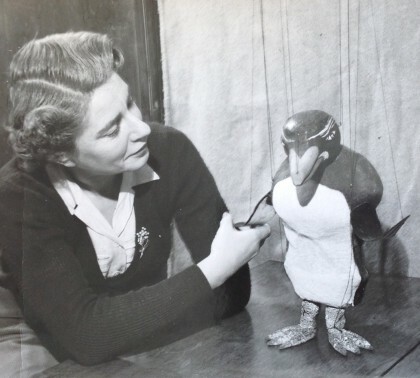 Ann Hogarth and Jan Bussell were at the helm writing the scripts, puppeteering and producing the ‘live’ shows. 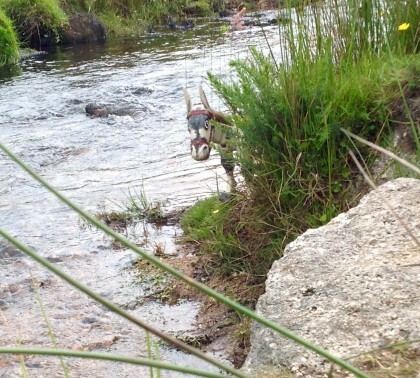 Muffin revelled in the hustle and bustle of those days and relished all the attention. 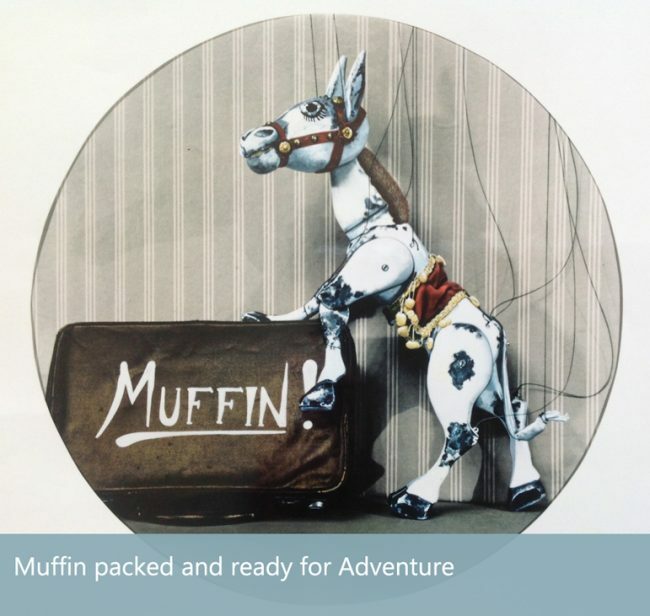 So, after many years pottering around enjoying the Devon sunshine, planting his carrot seeds, solving a few mysteries and of course going off to the odd exhibition, photo shoot and a guest appearance here and there, Muffin has got itchy hooves and wants to see the world again! 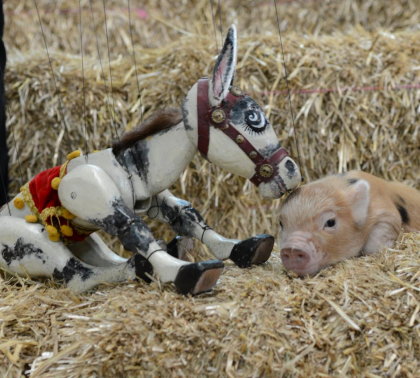 So after what seemed like an awful lot of braying, putting on of the thinking cap and thinking, Muffin and his friends have persuaded me that it is never too late to do what they do best – entertain and meet people!